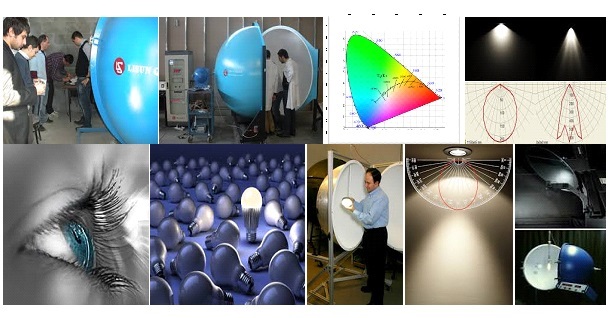 Photometric Testing helps you to understand the basic concepts of light, LED and solid state lighting specifications. Our regular 2-day training course in photometry, Colorimetry and light measurement will help you to understand LED and lighting specifications and avoid common misconceptions that come to one’s mind while operating/testing these devices. We will show you how to correctly measure and express the performance of your lighting products and the training will benefit technical and marketing staff alike. Lighting is an exciting and rapidly developing area -LEDs and solid-state lighting promise not only energy efficiency but also designs. Yes!! LED specifications are often mistrusted and sometimes misleading too. Developed in partnership with measurement equipment specialists Eurotech Assessment and Certification Services Pvt. Ltd. training course in Photometry, Colorimetry AND Light measurement through Gonio-photometer and integrating sphere help you to understand LED and lighting specifications, to separate the reality from fiction in LED specifications and show you how to measure and express the output of various lighting products and ways to interpret its results. Our Training presents what is often thought as highly complex technical subjects in an easily understood way and combines a review of the theory of light and color measurement with practical, hands-on experience with the latest photometry equipment. Our state-of-the-art training lab contains integrating sphere, LED Power driver tester, Test Panel, Vitric, HV Tester, ECR, Gonio-photometers, Spectro-radiometer and many more. Practical exercises included in the Photometry Training involve measuring the luminous flux-color temperature and color rendering of an LED fitting, a demonstration of the inverse squared law, and measurement through integrating sphere for the creation of data file. Light, Materials and the Human Visual System Light and the electromagnetic spectrum, Vision, S:P ratio and BS EN 5489-1:2013,Reflectance – specular, diffuse and scatter, Lambert Cosine Law. Tristimulus theory, CIE color model, CIE color spaces and chromaticity, Color temperature & correlated color temperature, CIE standard illuminants, Dominant wavelength & purity, Color difference sensitivity & metrics. Introduction, choosing the correct size sphere, Calibrating the integrating sphere, Correcting for sample absorption, Uncertainty and sources of error, precautions. Introduction, Standard photometric data Files, photometric data types, Goniophotometry Types. Eurotech Assessment and Certification Services Pvt. Ltd. is an independent test lab specialising in the measurement of light, lighting products and the optical properties of materials. We provide precision measurements of the color and brightness of LEDs, luminaires, solid state lighting, lamps, signs, and displays.We help you to save time and money in bringing your next generation of products to market. Eurotech Assessment and Certification Services Pvt. Ltd.has invested in the latest, state-of-the-art photometric, spectroradiometric and goniophotometric equipment to ensure that our measurements are accurate, repeatable, traceable and conform to the latest international standards. This investment has resulted in the creation of what is probably the most up-to-date, independent lighting test laboratory in India. With years of experience, we have absolute confidence in our results. This entry was posted in Photometric Testing, Photometric Training and tagged Absolute versus relative photometric data, Action spectral, an imaging photometer and a spot spectroradiometer, Basic Concepts - Light, BS EN 62471:2008, Calibrating and using an integrating sphere to measure the performance of a lamp, Calibrating your integrating sphere, CCT & CRI, Choosing the correct size sphere, CIE chromaticity, CIE colour spaces, CIE standard illuminants, Colorimetry, Colorimetry & Spectroradiometry - a Training Course on the Science of Light Measurement In India, Colour difference sensitivity & metrics, Colour quality scale (CQS), Colour rendering and the rendering index (CRI), Colour temperature & correlated colour temperature, Colour vision and tristimulus theory, Converting between units, Correcting for sample absorption, diffuse and scatter, Do You Speak LED? Join Us for Photometry Training In India, Dominant wavelength & purity, Effective luminous intensity, Energy efficiency metrics (LOR, Far-field goniophotometry, Flash Photometry, Goniophotometry & Standard Photometric Data, Illuminance, Integrating Sphere Measurements, Integrating sphere theory, Introduction to Photobiological Safety, Lambert's cosine law, Laser Safety (EN 60825), LED Light Photometric Training Courses Ahmedabad, LED Light Photometric Training Courses Chandigarh, LED Light Photometric Training Courses Chennai, LED Light Photometric Training Courses Mohali, LED Light Photometric Training Courses Mumbai, LED Light Photometric Training Courses New Delhi Photometric Training Photometry and Light Measurement India, LED Light Photometric Training Courses Panchkula, LED Light Photometric Training Courses Punjab, LED Light Photometry Training Courses Ahmedabad, LED Light Photometry Training Courses Chandigarh, LED Light Photometry Training Courses Chennai, LED Light Photometry Training Courses Mohali, LED Light Photometry Training Courses Mumbai, LED Light Photometry Training Courses New Delhi Photometry Training Photometry and Light Measurement India, LED Light Photometry Training Courses Panchkula, LED Light Photometry Training Courses Punjab, Light and the electromagnetic spectrum, Luminance, Luminance Measurements, luminous efficacy & energy efficiency index), Luminous exposure, Luminous flux & useful lumens, Luminous intensity, Materials and the Human Visual System, Measuring flashing light sources, Measuring illuminance at different distances from a lamp and calculating luminous intensity; demonstrating the near-field versus far-field, Measuring luminance and comparing readings between a spot photometer, Measuring Luminous Flux, Measuring the luminous intensity distribution from a luminaire and compiling / manipulatinh photometric data files in .ies and .ldt formats, Mesopic vision, Near-field goniophotometry, Photobiological Safety (EN 62471), Photometer errors, Photometers versus spectroradiometers, Photometric and Optical Testing delivers training seminars in India, Photometric field - near-field versus far-field measurements, Photometric Testing to offer training courses in light measurement, Photometric Training, Photometric Training Course in Chandigarh, Photometric Training in Ahmedabad, Photometric Training in Chennai, Photometric Training in Mumbai, Photometric Training in New Delhi LED Light Photometric Training Courses from ITCIndia LED Light Photometric Training Courses India, Photometric Training in Panchkula, Photometric Training in Punjab, Photometric Training Mohali, Photometric Training Photometry and Light Measurement Ahmedabad, Photometric Training Photometry and Light Measurement Chandigarh, Photometric Training Photometry and Light Measurement Chennai, Photometric Training Photometry and Light Measurement Mohali, Photometric Training Photometry and Light Measurement Mumbai, Photometric Training Photometry and Light Measurement New Delhi, Photometric Training Photometry and Light Measurement Panchkula, Photometric Training Photometry and Light Measurement Punjab, Photometric Training: Photometry and Light Measurement, Photometry, Photometry and colorimetry, Photometry course, PHOTOMETRY TESTING LABORATORIES, Photometry Training Course in Chandigarh, Photometry Training in Ahmedabad, Photometry Training in Chennai, Photometry Training in Mumbai, Photometry Training in New Delhi LED Light Photometry Training Courses from ITCIndia LED Light Photometry Training Courses India, Photometry Training in Panchkula, Photometry Training in Punjab, Photometry Training Mohali, Photometry Training Photometry and Light Measurement Ahmedabad, Photometry Training Photometry and Light Measurement Chandigarh, Photometry Training Photometry and Light Measurement Chennai, Photometry Training Photometry and Light Measurement Mohali, Photometry Training Photometry and Light Measurement Mumbai, Photometry Training Photometry and Light Measurement New Delhi, Photometry Training Photometry and Light Measurement Panchkula, Photometry Training Photometry and Light Measurement Punjab, Photopic vision, Practical Photometry & Light Measurement, Reflectance - specular, Risk group computation, S:P ratio and BS EN 5489:2012, Scotopic vision, Solid angle, Spectral irradiance and radiance measurements, Spectral power distribution, Spectroradiometry & Colour Rendering, Spectroradiometry and Photometry Training Programs, Standard Photometric Data, Standard photometric data (.ies & .ldt data files), Studying the Inverse Squared Law, The Artificial Optical Radiation Directive (AORD), The inverse squared and cosine rules, Training Photometry and Light Measurement, Uncertainty and sources of error, Visual alert devices and BS EN 54-23:2010.